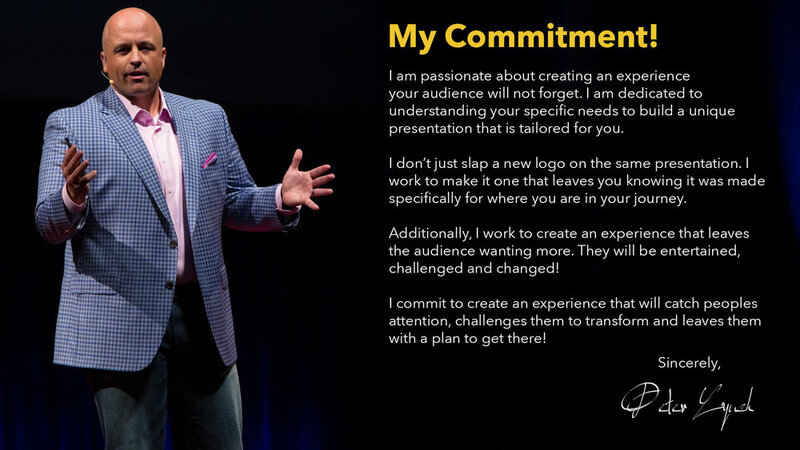 Deliver an experience that leaves your audience inspired! "Peter was hands down the best presenter at the conference! I laughed, was inspired and most importantly moved to action. I didn't want the session to end!" Find out more about Peter and how he is inspiring and motivating audiences all over the world! Ready to take the next step? If nothing else, let's connect and learn about each other! Success comes as we step into our fear. We often confuse culture with a vision or mission statement. In reality, it is defined by the behaviors we tolerate! Want to be a Great Speaker? Do 1 Thing! 4 Reasons #Culture is a game changer! 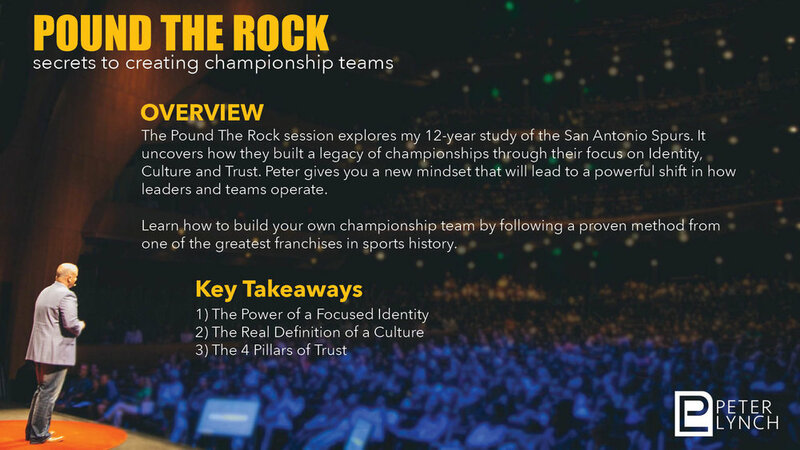 Is it possible for companies to create the same level of success as a sports franchise through organizational culture? The answer is an absolute yes! Read about the 4 reasons companies need to pay attention to culture.